In my recent blog article, A Solution for Managing Unintentional Conflict in Operations, I described how a client company resolved the “unintentional conflict” created by their contract processing operation. They resolved it by creating a “shared operational space” where work was accomplished with much greater harmony and efficiency. Their results were stunning – a near 300% improvement in contract cycle time. In this article I provide some “how-to’s” for you to align your business operations to manage conflict, and talk a little more about the importance of creating shared space in business operations to prevent conflict in the first place. Create shared space as an antidote for unintentional conflict when you design business operations. This method is the pinnacle of conflict resolution techniques and a path toward greater business performance. 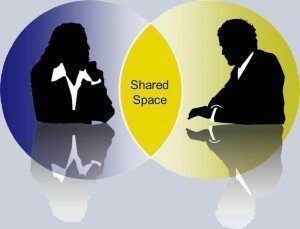 When creating any business process or human-involved system, it is best to design them so that they facilitate the creation of “shared space” among those involved in the operation. In doing so, you avoid creating unintentional conflict in your operation. If you read my recent article, Managing Unintentional Conflict in Business, you know that shared space comes from focusing on the bigger picture and the common good we can create together – not just on our own agendas – in order to optimize the business outcome. In business operations, the experience of shared space is working in concert with others in a spirit of camaraderie. Therefore, the greater the shared space we have among those in the operation, the greater the opportunity to work in a way that accomplishes mutually beneficial work, and aspires to a higher purpose. Business processes and systems can either foster an environment of shared space or create one that encourages unintentional conflict. To create shared space in operations, target areas where unintentional conflict typically occurs and design solutions that avoid it. You can avoid creating unintentional conflict by doing these top five things when designing and implementing operations. 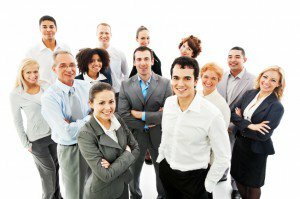 When there aren’t enough qualified and available people to fulfill the roles associated with a process or system, those involved feel the pressure of things not going well. They don’t want to be blamed for the collective failure, although they often are. Some start throwing others under the bus to protect themselves. Although they didn’t intend it, conflict is happening. Make sure your staffing, development, and resource allocation mechanisms are doing their jobs. In the absence of agreements on how different kinds of decisions will get made, and by whom, people do the best they can. However, this opens the door to personal agendas, or the perception of personal agendas, at the expense of someone else’s. These control issues breed conflict. Head this off at the pass by deciding as a group, in advance, who will make what kinds of decisions, and define decision criteria where appropriate. When managers have incongruent operational performance goals, (e.g., saving money vs. maximizing output), this fundamental conflict filters down to those involved in the operation. Work out any conflicts at the executive level and communicate your decisions to those involved. Amidst confusion about roles lies differing opinions, and ultimately conflict. Consequently, it is best to avoid confusion in the first place. To that end, you will want to define roles and responsibilities so everyone knows what is expected. Whenever any person, or group of people, is in a position where they have a misalignment of control (over work) and responsibility (for the work outcome) there is the probability of conflict. For example, if they have a lot of control but little responsibility then, by definition, there are others with the opposite circumstance – little control and a lot of responsibility. In this precarious position it is difficult not to get defensive – or offensive. After defining roles, test each one and adjust as necessary to ensure alignment. People are more able and willing to work for the greater good of all within operational shared space, where the level of unintentional conflict is greatly reduced. This, in turn, promotes strong operations, a great working environment, and healthy financial returns. Tell us what you think. Share your own operational challenges and solutions. Learn how our Conflict Management Services can help you avoid unintentional conflict in your operations. Or, contact us for a no-obligation consultation. Either way, we can help Advance the Way You Work in developing your business operations.